Since 2007 Harvest the Sunpower! 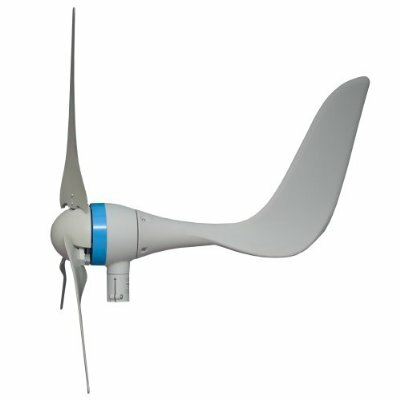 Generate power day and night with the Sunforce 600 Watt Wind Turbine. 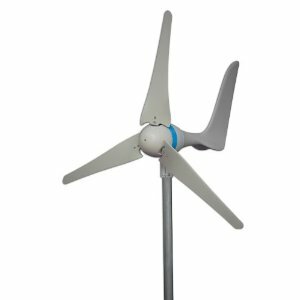 This versatile wind turbine charges both 12 Volt and 24 Volt battery banks to help run your appliances and electronics. Ideal for cabins, 12 Volt battery charging, remote power, back-up power and more, this unit is made with aerodynamic fiber glass blades to ensure low wind noise. Built with a weatherproof industrial design, this system makes for do-it-yourself, maintenance-free installation. Safe and efficient charging is provided with the Maximum Power Point Tracking (MPPT) Charge Controller (included) that maximizes power output for optimal charging capability and battery health. Wind generators convert the mechanical energy of their spinning blades into an electric current; they do not actually store power. Sunforce Wind Generators are primarily used to recharge all types of 12/24 Volt batteries, including lead-acid automotive batteries, deep-cycle (traction type) batteries, gel-cell batteries, and heavy-duty (stationary type) batteries. 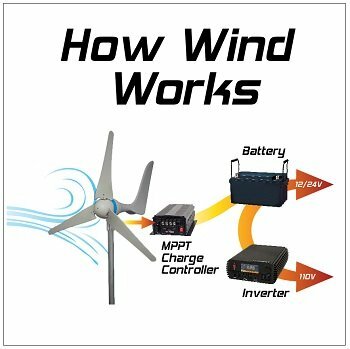 When using this wind generator to run appliances on a regular basis, the use of deep-cycle marine batteries is recommended. This type of battery is designed to withstand the frequent charge and discharge cycles associated with wind power use. 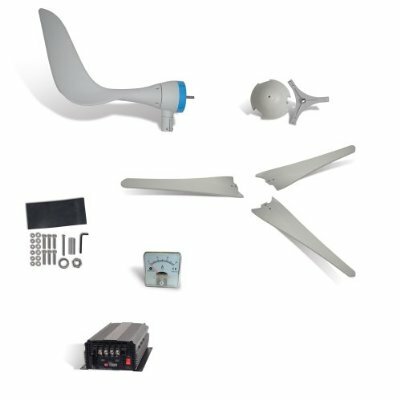 Attempting to run the wind generator on an open circuit without a battery may cause damage to the generator or connected equipment. The included Maximum Power Point Tracking (MPPT) charge controller enables the 600 watt land turbine to achieve its highest possible performance by periodically tracking the maximum power point of the turbine’s output. The MPPT can be used with battery systems of either 12v or 24v DC. Its features include 12 / 24 volt automatic detection system, temperature-compensated and three-stage charge regulation, fully waterproof design, inline 40 amp fuse, and a manual/automatic braking system. 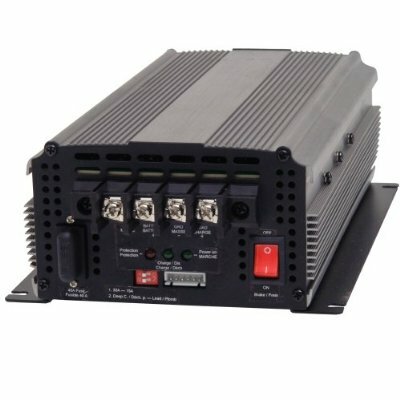 (LxWxH): 27.5" x 12" x 28.5"
The MPPT charge controller is a sophisticated multi-stage battery charger that uses several regulation stages to allow fast recharging of the battery system while ensuring a long battery life. 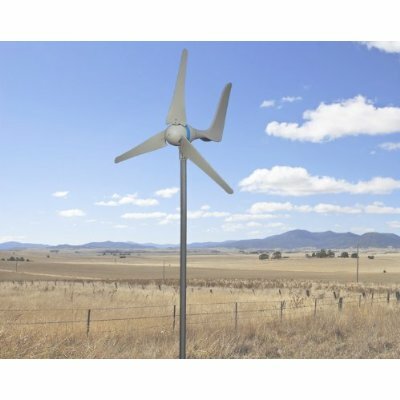 Enables the 600 watt land turbine to achieve its highest possible performance by periodically tracking the maximum power point of the turbine’s output. Can be used with battery systems of either 12v or 24v DC. Includes 12 / 24 volt automatic detection system, temperature-compensated and three-stage charge regulation, fully waterproof design, inline 40 amp fuse, and a manual/automatic braking system.